The growing content consumption by the Internet users has paved way for marketing and branding companies to reach millions of prospective customers in a very cost-effective manner. Consequently, internet users are bombarded with digital banner ads the moment we visit and publisher seeking any information. Though Ad blockers have come for rescue and promise to keep the internet experience clean, publishers are feeling the heat as they are forced to leave money on the table. To refrain from providing free lunch publishers have started integrating tools with their sites that detect ad blockers on visitors browser and deny access. But the solution is apparently not offering much of help as such ad block detector tools are empowering publishers to detect only a small percentage of ad blocking done by site visitors. Martech reports that Streamwize, a San Francisco-based company, has released a new anti-ad blocking software, Adtoniq, which allows publishers to recover lost revenue due to ad blockers. Before releasing the software, they conducted tests with the existing ad block detectors being used by various leading publishers. On testing PageFair and other existing ad-blocker detectors, Streamwize found that such tools could only detect a small percentage of the ad blockers set by the users. Out of 10 ad blockers on the site, PageFair managed to identify only 2. PageFair, the most widely used ad block detector, had a failure rate of 80%! Other software detectors like Oriel and SourcePoint didn’t perform well either, identifying only a handful of the ad blockers. Thus, Streamwize now offers Adtoniq, which, they claim, can detect almost 100% of the ad blockers. On detecting blockers, the software then offers remedies like asking users to subscribe to the ad-free versions and thereby, disable the blockers. Both Desktop and Smartphone users are actively pursuing Ad blockers. According to a report by PageFair, around 419 million smartphone users worldwide are blocking ads. Nearly 22% of a total 1.9 billion smartphone users blocks ad on mobile web. Further, ad blocking browsers are mostly used to block ads. The growth in the usage of ad blocking browsers is 90% from January 2015 to January 2016. Another report from Optimal, via The Register, claims that 11.7 percent of online display ads were blocked last year. According to the reports, ad blocking is threatening to close down the digital advertising market. The research firm e-Marketer estimates that, in the US, by the end of 2017, 86.6 million Americans will use an ad blocker, a YoY increase of 24% from 69.8 million in 2016. It is obvious to see that consumers today are finding online ads annoying, invasive, distracting and dangerous. With the increased availability of good ad blocking software like AdBlock Plus, ad blocking is on the rise. Users prefer to avoid ads while surfing, be it the mobile web browsing or the in-app ads. The increased usage of ad blocking software and its market growth is starting to affect the revenue of the digital advertising market. Most of the sites and publishers offer free content to users and generate revenue only through advertising. Thus, it is obvious that ad blocks by site visitors are affecting these companies. In 2014, the online advertising market revenue reduced by $22 billion. 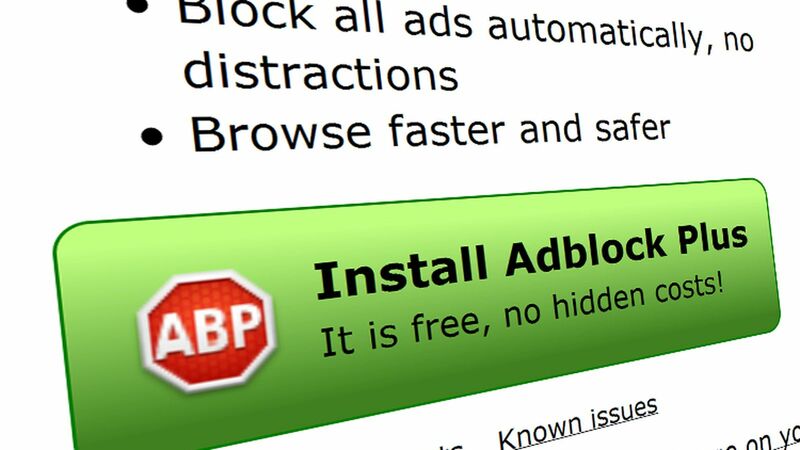 Publishers started utilising ad blocker detector software to detect ad blockers used by visitors when they visit their sites. Back in November 2015, Yahoo prevented a few users, all using ad blocking software, from logging in. Following Yahoo’s lead, many websites started using ad block detectors. They prevented users from visiting their websites unless they disabled the ad blockers. In January, Forbes started forcing site visitors to disable ad blockers to access their content. Netflix cleverly used Black Mirror themes to reach out to those who were using ad blocking software. Further predictions by The Guardian state that ad blocker usage growth in the US could lead to the removal of $12 billion from online advertising revenue by 2020. To set a level playing field it’s important that both, ad blocks and ad blocks detectors, must be matured and advanced enough to serve the purpose to a greater extent. Therefore, it is essential that more companies develop better ad block detecting software, like Adtoniq, to help publishers conquer the ad blocking plague spreading among the internet users who don’t want to reach their pockets for anything.